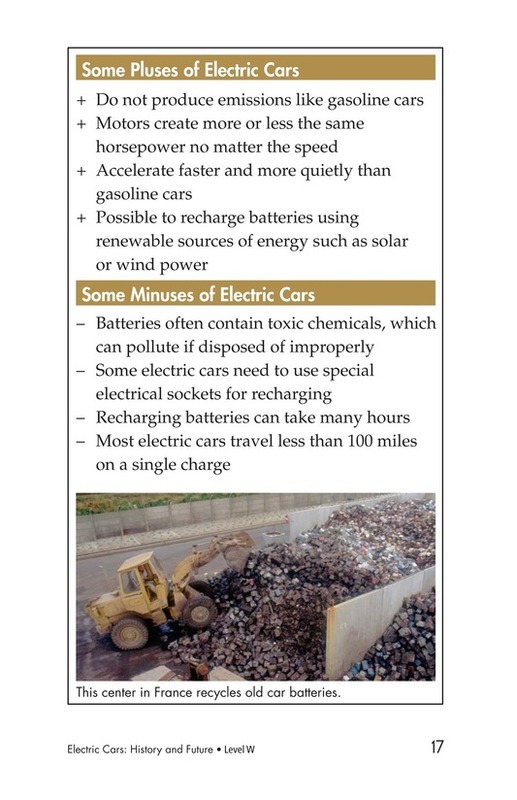 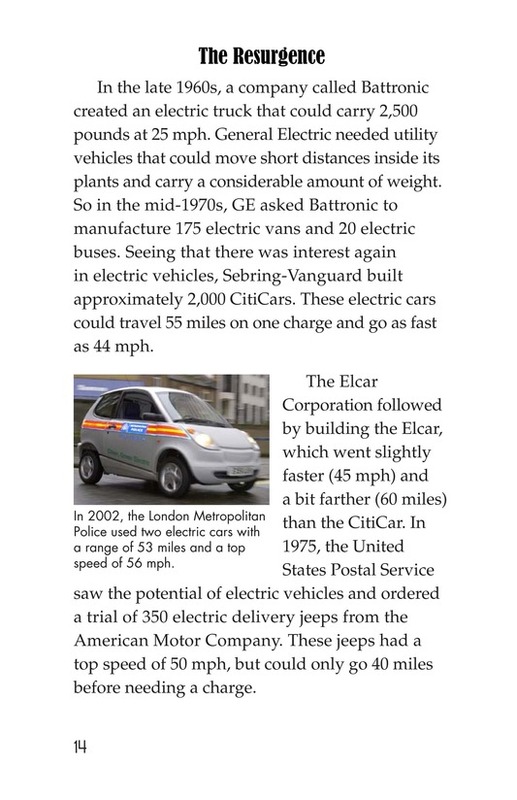 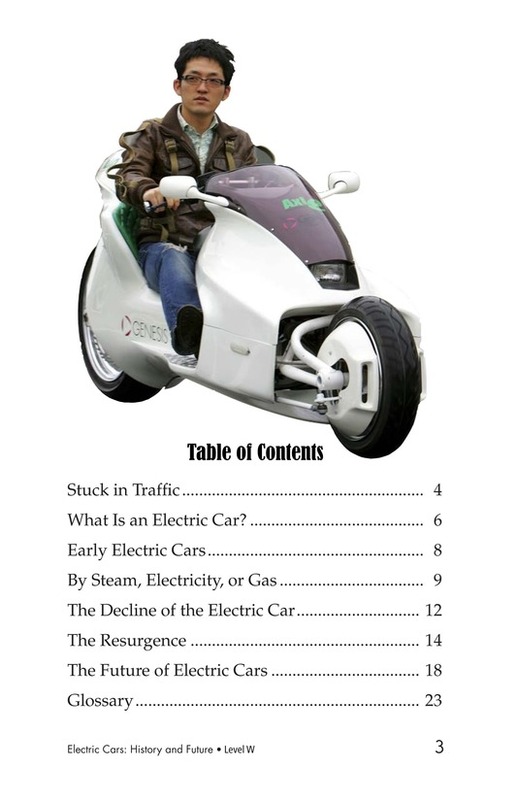 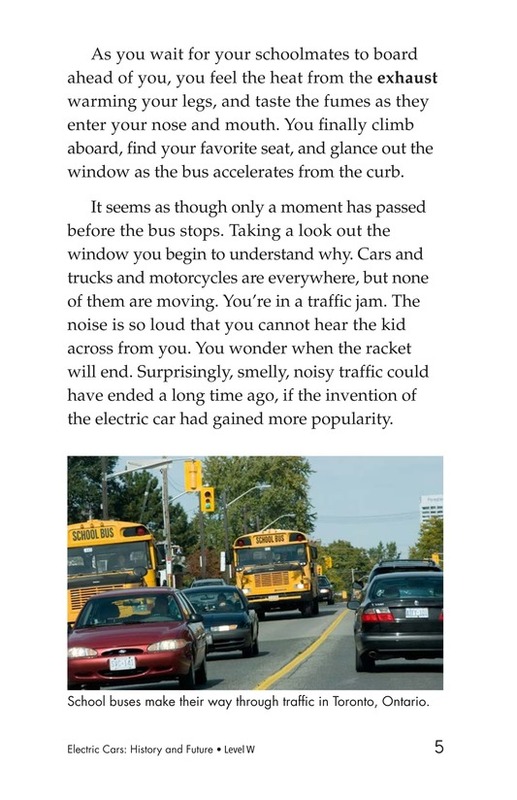 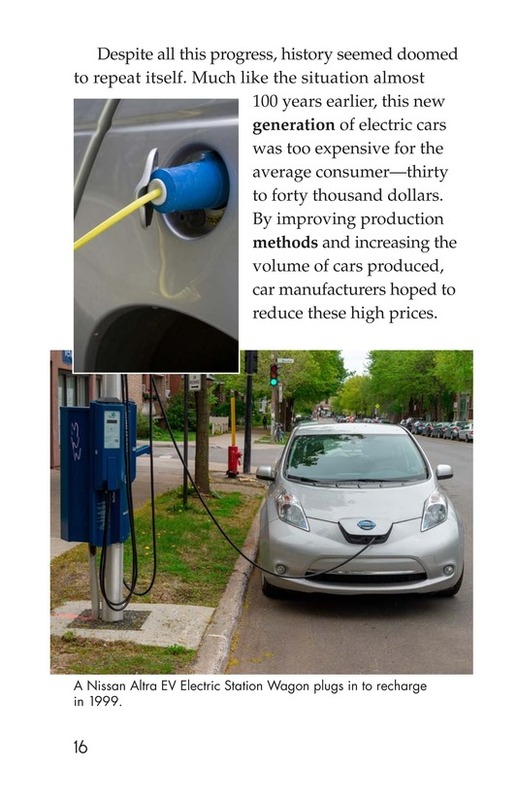 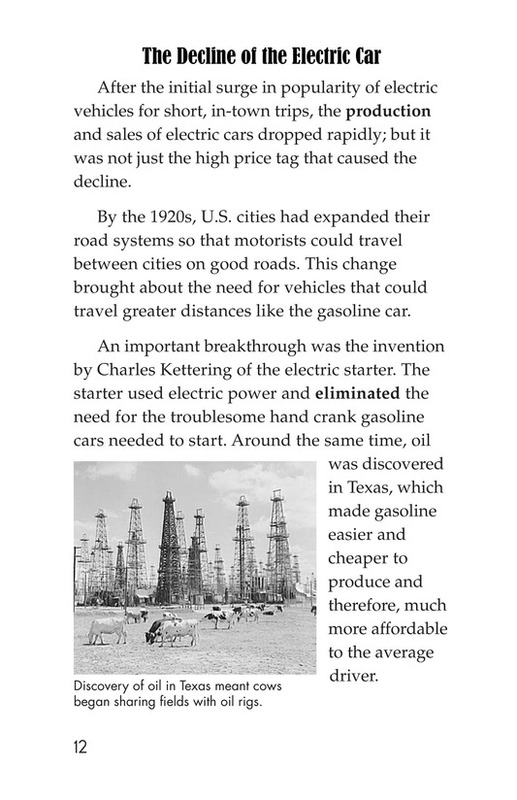 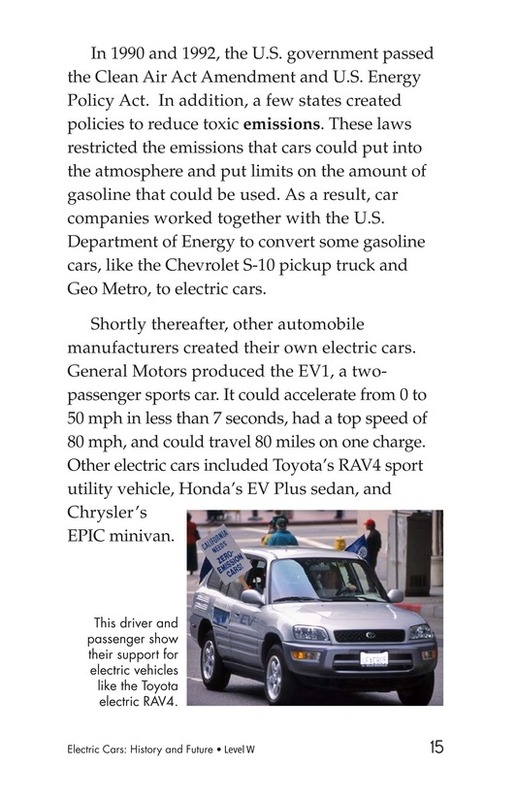 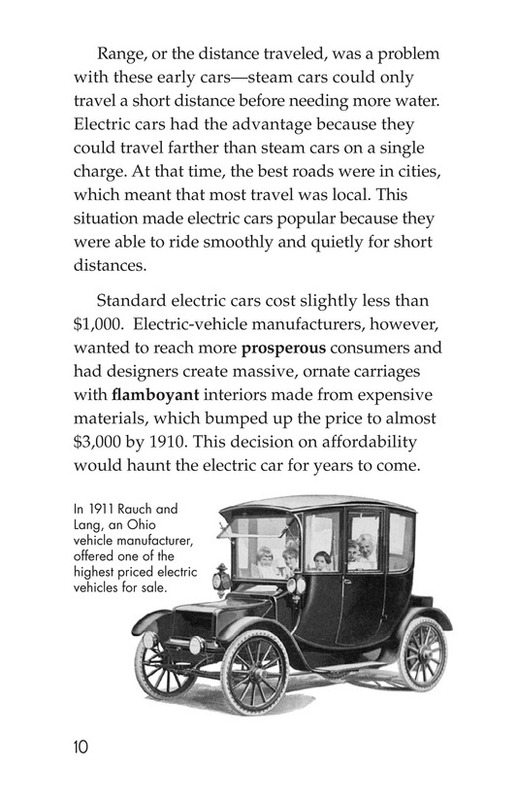 Could many traffic problems have ended long ago if the electric car had gained more popularity? 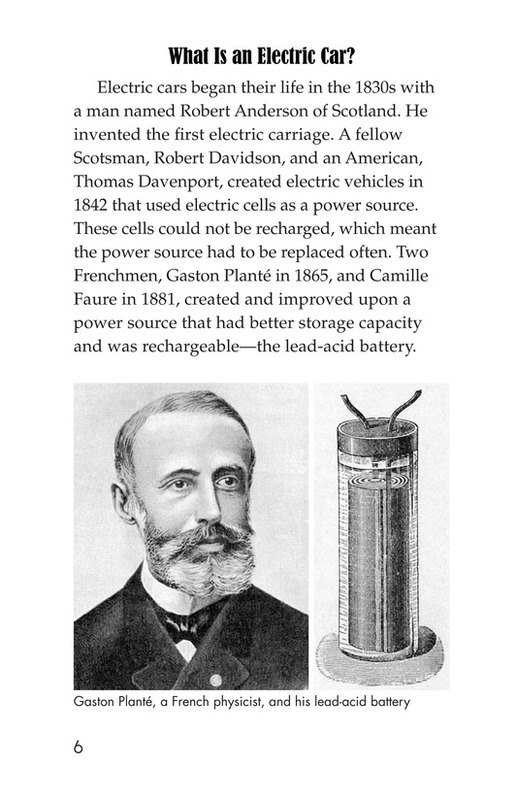 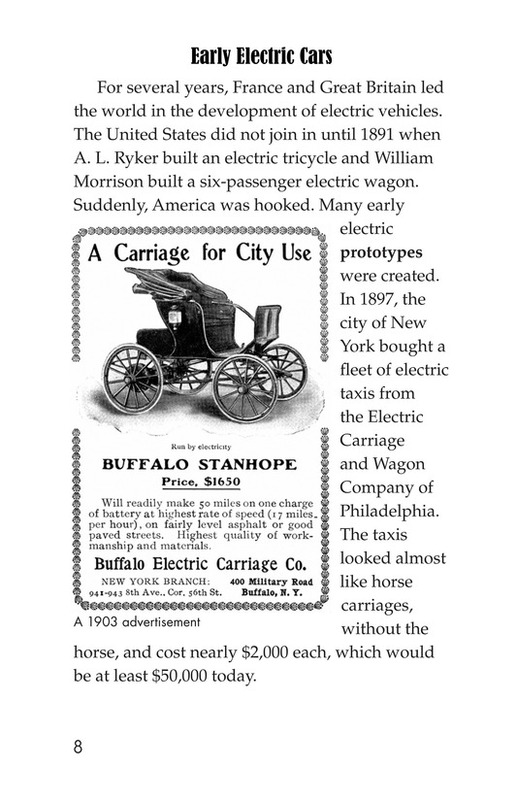 In the 1830s, Robert Anderson of Scotland invented the first electric carriage. 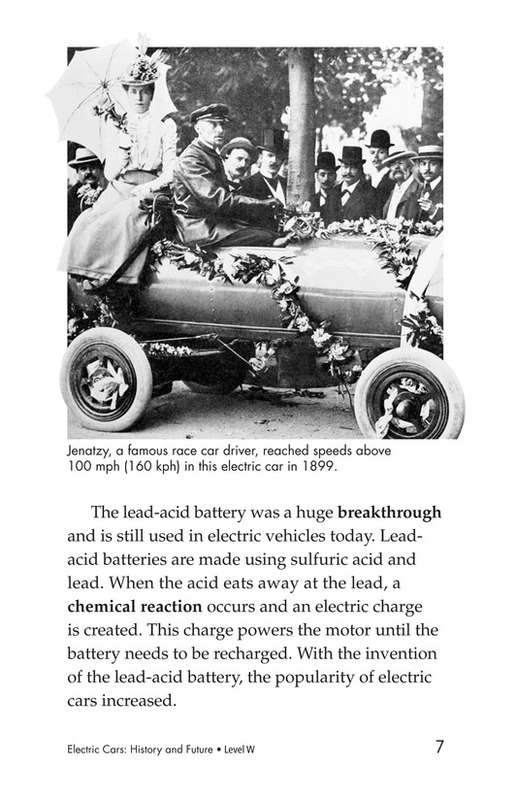 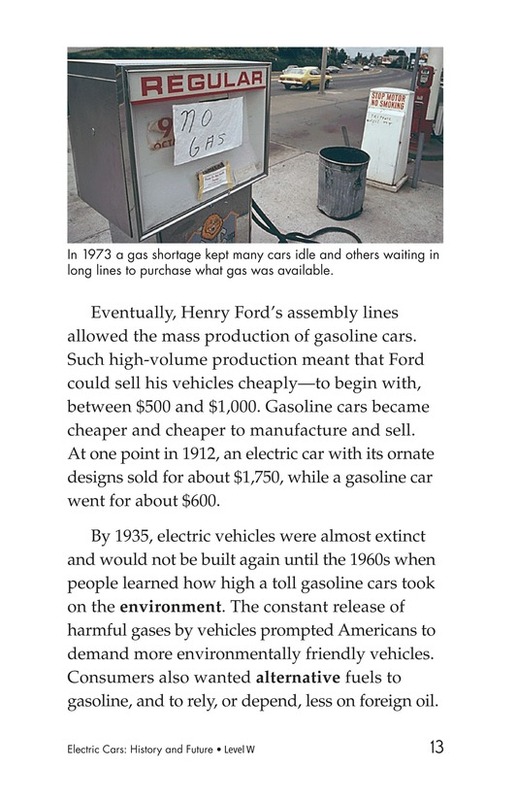 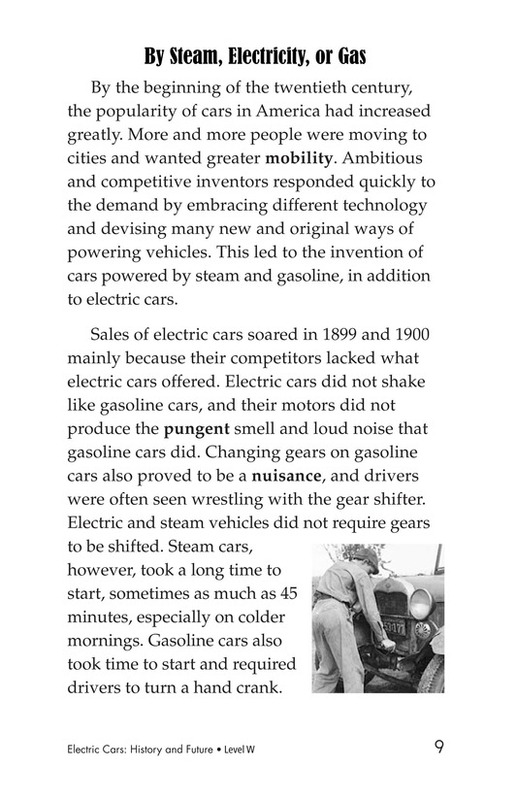 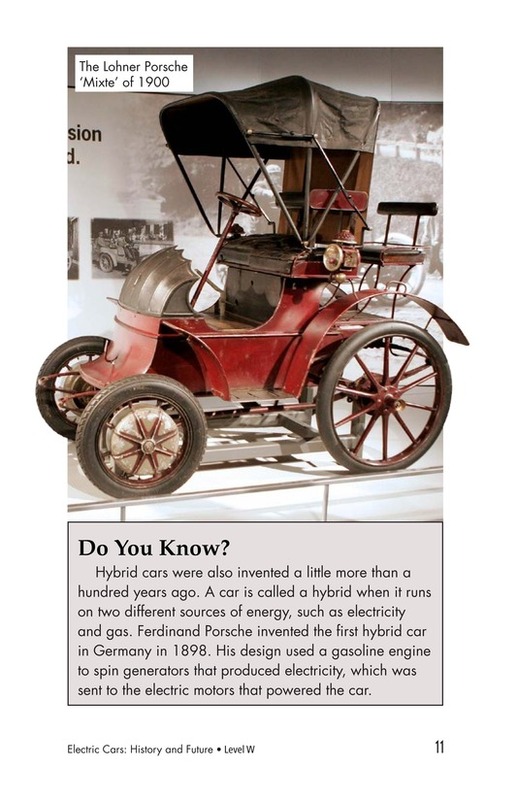 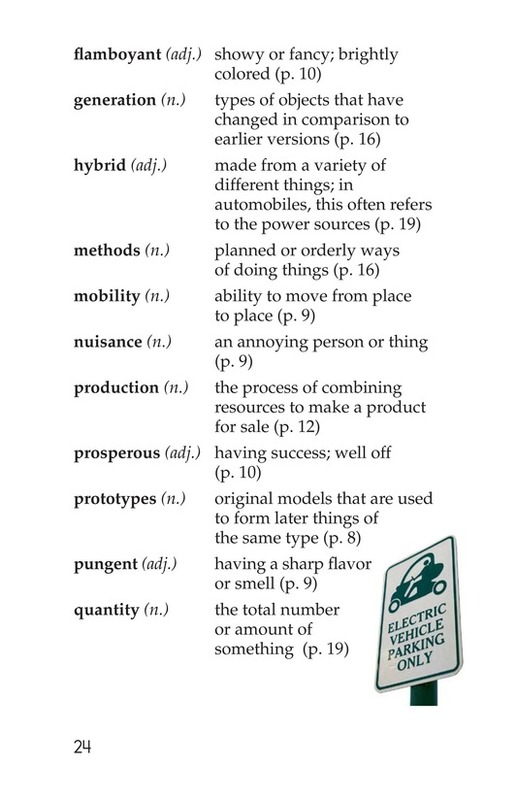 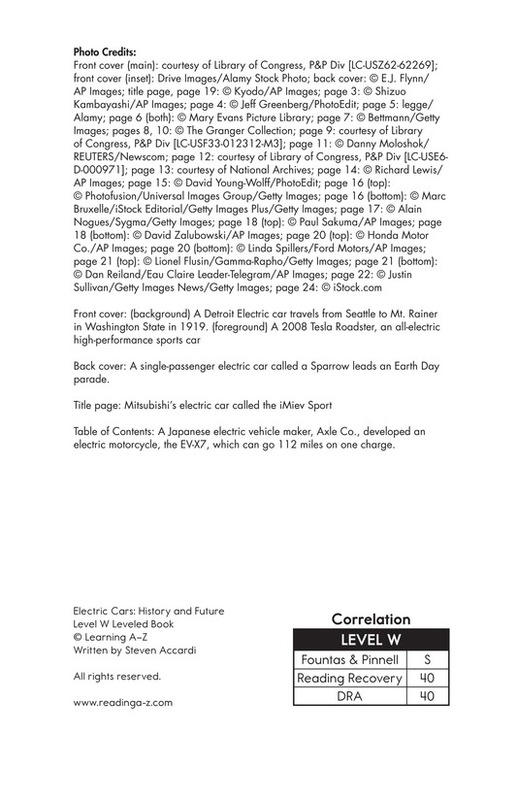 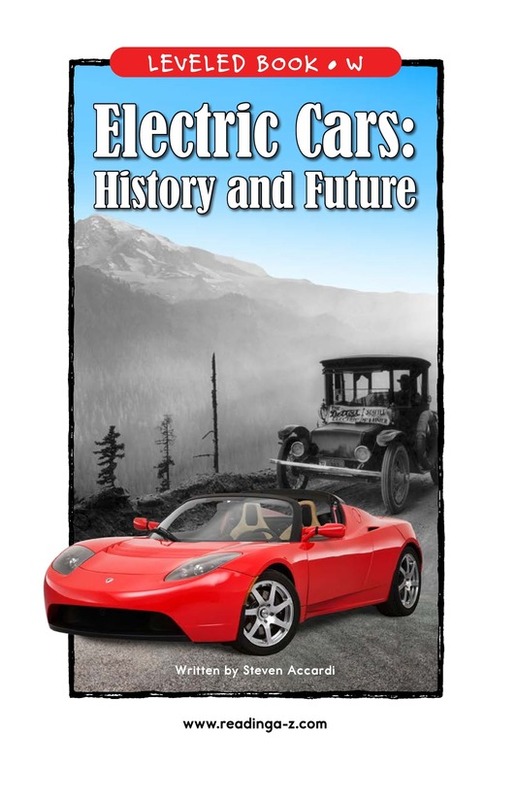 Through the years, many improvements and inventions by others led to the popularity of electric cars in the beginning of the twentieth century. 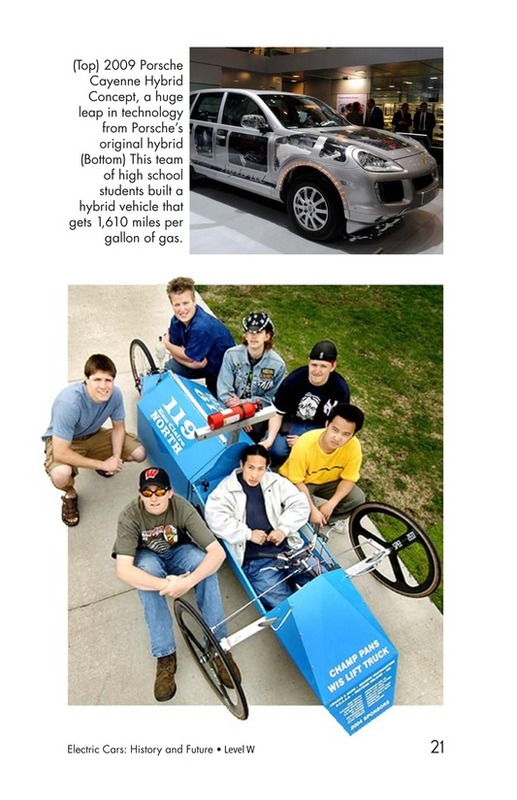 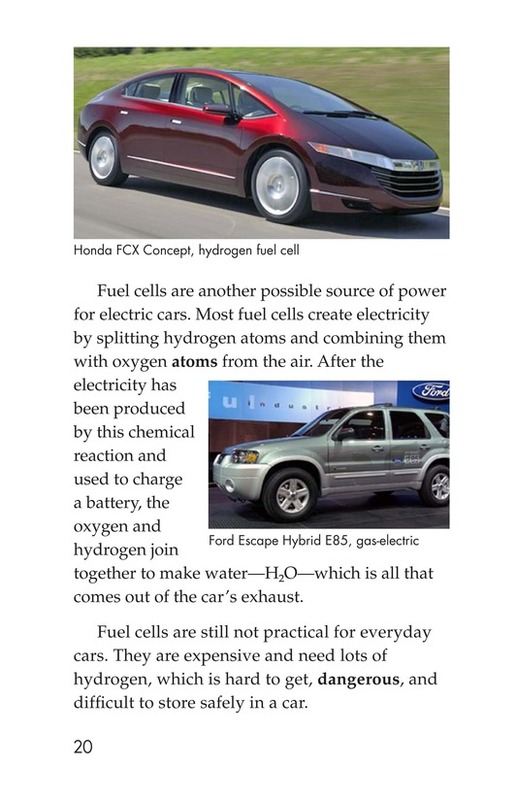 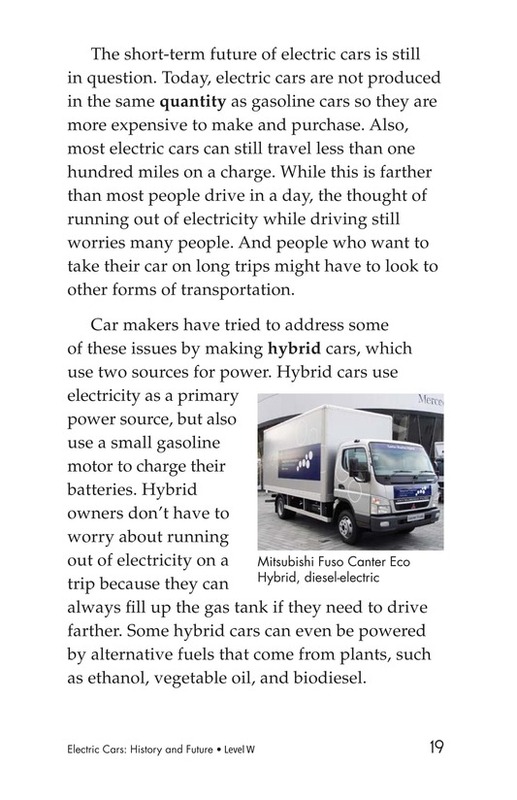 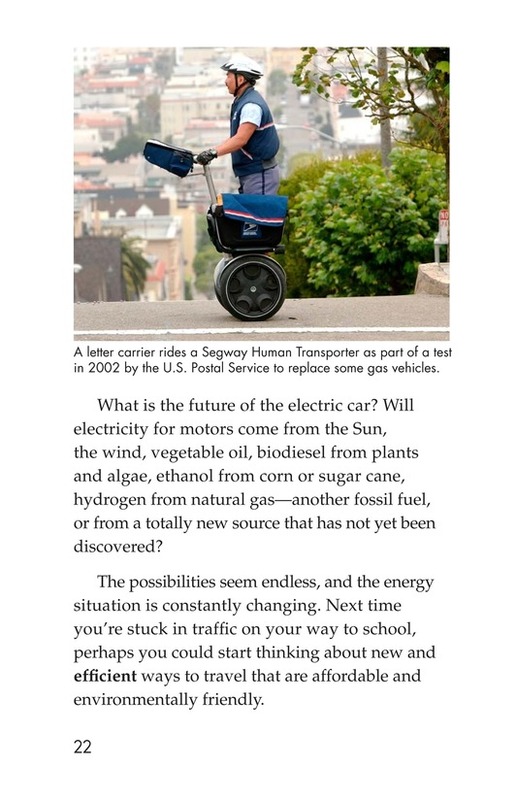 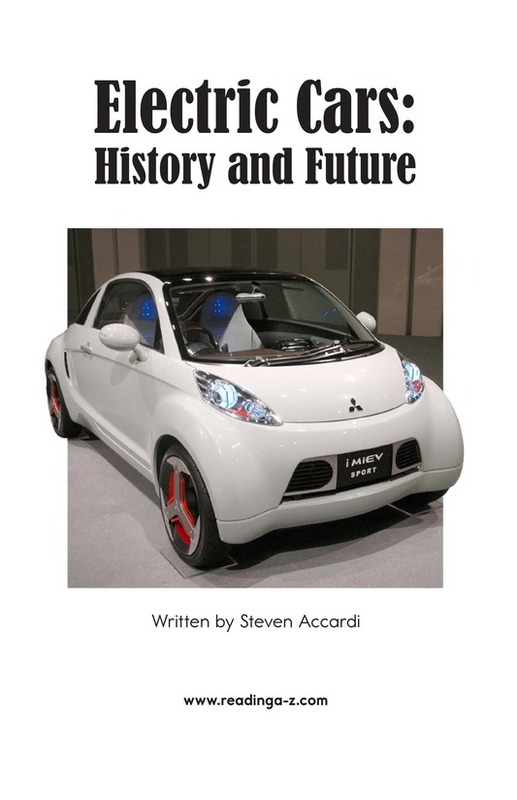 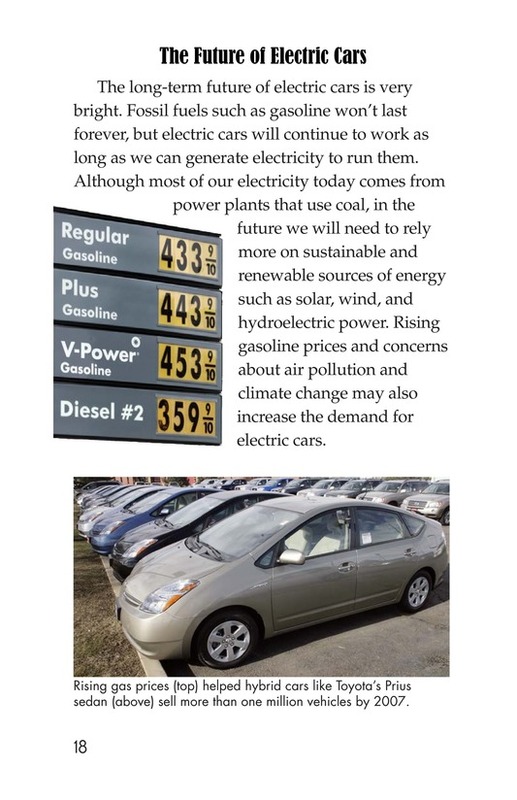 Is it possible for the electric car to be a thing of the past and the car of the future? 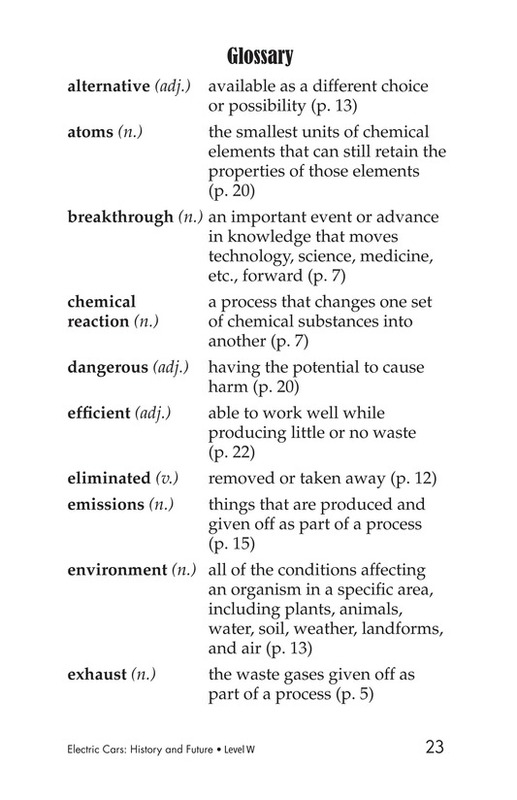 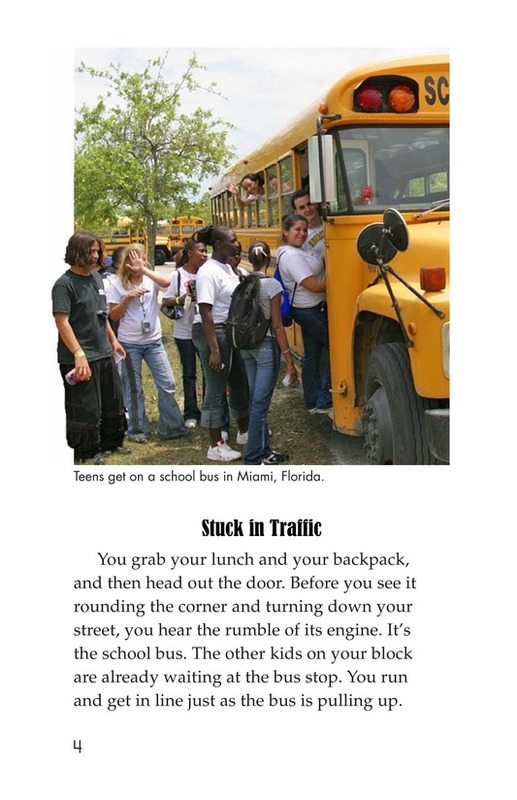 Photographs and diagrams support the text.